Thoroughly wash the duck and dab dry. Clean the innards and the throat as well, then dab dry. Wash, dry, clean and chop the soup greens into small pieces. Remove visible fat from the duck. Heat a coated pan and drain the duck fat in the pan. Add the garnish and soup greens and sauté in the pan. Douse with 1/4 l of water. Add the wine and bay leaf. Wash and dry the sage. Cover pan and simmer for two hours. Stirring occasionally. Season duck from inside and outside well with salt and pepper. Wash the thyme and dry and put into the duck. Clamp or sew up the body opening, bind the legs with kitchen yarn and fix the wings. Preheat oven to 200° C.
Place a dripping pan on the lower rack with one 1/4 l of water. Place the duck on a grill grate over this and bake for 2 hours. Brush or pour over the stock regularly. Remove from the oven and place on a plate and keep warm. Sieve the roast stock and collect in a saucepan. Add the sauce and leave to cook for a short time. Serve duck in its entirety, then carve. Tip: Use preheated plates for food. For the ragout, add 20 grams of powdered sugar to a saucepan and let it caramelize over medium heat. Douse with the orange juice. Add sugar, vanilla, cinnamon and orange peel. Boil off the liquid and slightly bind with the corn starch. If necessary, add in fresh orange juice. 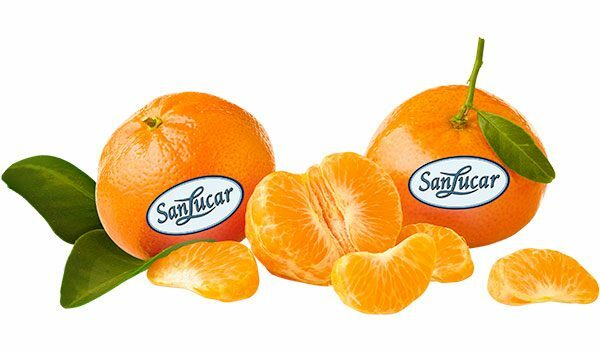 Remove the cinnamon bark and the orange peel. Peel the clementines and marinate with the grapes in the orange stock. Clean the red cabbage, cut into fine strips, lightly salt, sprinkle with the juice of a lemon and mix well. This prevents the red cabbage from fading when blanching. Allow the sugar to golden-caramelize at medium heat, then douse with vinegar, red wine and port wine. Add the goose fat, allow the liquid to boil. Finely dice the onion and add. Season with salt, pepper and honey and bring the liquid to a boil again. Squeeze out the juice orange, add the juice to the red cabbage and add the cranberries. Cook until tender. Make sure the red cabbage is still firm when you trying the dish. 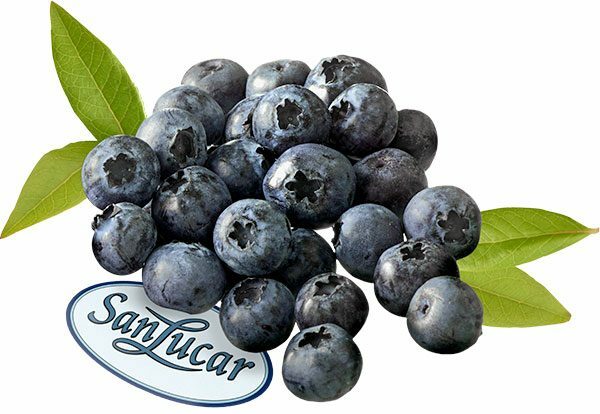 Peel the SanLucar Opal® Ppple, mix with the red cabbage and let simmer. Then serve immediately. Tip: Potato dumplings are also delicious with the Crispy Roast Duck! Lay the strudel dough out on a strudel cloth and roll out. Melt butter or margarine and spread it over the dough with a baking brush. Then sprinkle with the breadcrumbs (the breadcrumbs are often roasted in golden brown butter). 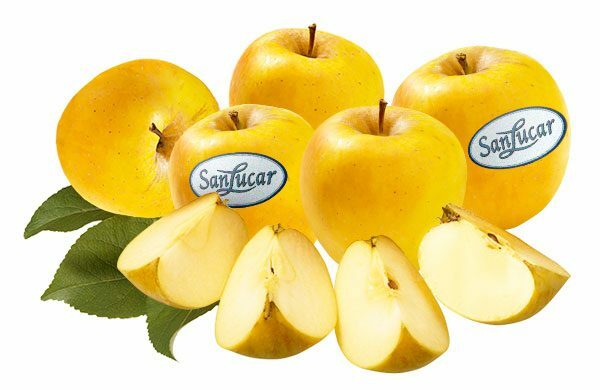 Skin the SanLucar Opal® Apples, remove cores and cut into fine slices. 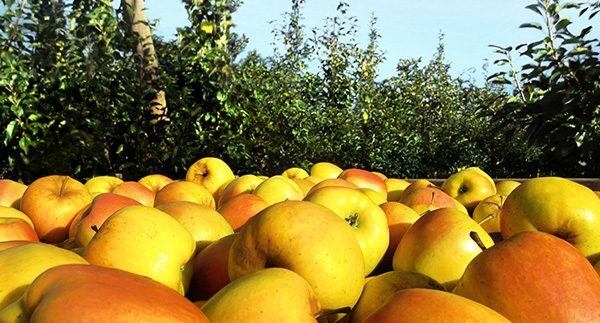 Mix raisins, nuts or almonds and sugar with the SanLucar Opal® Apples and spread this mixture on the dough. Leave On 3 cm each side free. Then drizzle in the rum. Turn up the edges of the dough and begin rolling the strudel from the longitudinal side. Press the ends together. Roll the finished strudel onto the baking tray with the help of the cloth, with the »seam spot« lying down, dab the surface with melted butter or margarine. Bake at 180 – 200 ° C (circulating air) for 45-55 minutes. For the vanilla ice cream, add the milk and the cream in a sufficiently large pot. Cut the vanilla pods open, scrape out and put the vanilla and the empty pods into the pot. Heat the mixture to 90° C, then cool and remove the pods. Meanwhile, stir the egg yolk with sugar, until the sugar has largely dissolved and a creamy mass has formed. Return the whole mixture back to the large saucepan and let it rise slightly at low to medium heat until the mixture is slightly thickened. Then place in a suitable container and allow to cool completely in the refrigerator or freezer. Process the cooled mass in the ice cream maker. Cut the mint into fine strips. Combine with the remaining ingredients in a bowl and mix well. We wish you a Bon Appetit and a Happy Christmas!